As we near 2017, browsers start complaining more about rotten website security, but it’s never been easier to assure yourself you’re safe. I was naive and thought that a lot of the issues surrounding Web browser/server security would be resolved with some significant changes agreed to by operating system makers, non-OS browser developers, and the parties that provide verification, called certificate authorities (CAs), which took place January 1, 2016. Oh, how young and foolish was I. But real improvements have taken place, and nearing the end of 2016, you may already have seen how browsers provide you a more descriptive—and some prescriptive—alert about problems with the certificates passed by a server to a browser to create a secure connection. In some cases, you may already have been blocked from a connection, or required to approve an exception to proceed. This is all good, partly because it helps prevent your information from being captured by malicious parties or swept up by wide-reaching, sometimes illegal government interception—any country, not just your own—and partly because more of what’s happened this year, especially recently, doesn’t require you to make any changes to gain the benefit. It’s not just sniffing. Ne’er-do-wells with the right network position, including malware installed on, ahem, non-Macs and non-iOS devices on a local network, can insert themselves into an unsecured connection and drop in a virus-laden download instead of a legitimate one you thought you were retrieving, among other nasty tricks. This was a possibility with the widely used Sparkle update framework, since patched. But some developers still host their software downloads on unencrypted servers. Web encryption requires that browser and OS makers trust CAs, who use protected cryptographic elements so that when a Web server you visit presents a certificate that identifies the server as associated with a particular domain name, you can be sure it’s a legitimate association. That’s part of the web of trust, and it requires browser and OS makers and CAs to act with integrity and transparency. Mozilla presented a lengthy report, as the foundation operates in a community-driven transparent style. WoSign replied, and Mozilla evaluated its responses as unacceptable, and moved to remove WoSign and StartCom from its trusted list as of October 21. Apple followed suit in a rather public manner: by placing a few paragraphs of text at the top of its Web page that lists its trusted root certificates in early October. Google took longer, finally making a statement and plan at the end of October. Microsoft hasn’t weighed in. That’s a good sign, though disappointing and surprising Microsoft remains behind the eight-ball here, as 18 months ago. In Safari, Firefox, Chrome, and some other browsers—but not Internet Explorer—visting a site protected by a certificate signed by WoSign or StartCom that remains in place generates a security warning. As I’ve written about over a couple of years, browser developers have ratcheted up the kind and nature of warnings displayed when you hit a site that’s using ineffectual or badly configured security. That includes every Web page that uses plain http, which sends all data between a browser and server as unencrypted text, as opposed to https, which uses SSL/TLS encrypted connections. Google’s future Chrome warning about all unsecured pages is severe. Starting January 2017, Google Chrome will start displaying the words Not Secure in plain text next to a URL for an http page that it recognizes uses a form to collect a password or credit-card information. Google plans to gradually move to showing a red warning triangle and Not Secure on all unencrypted pages. It’s moved to the phrase Not Secure instead of just an icon, because its product managers found most people don’t know what the warning icon means. More quietly, Chrome apparently also now redirects requests to a secure version of a website if multiple identical versions exist with different names. You may be seeing more routine warnings in Safari, if that’s your browser of choice. I know that I routinely receive warnings about certificate problems when I visit sites that are clearly just a bit out of date: the site’s owner failed to update a certificate, is feeding out a certificate for a domain that’s not listed in its security document, or another error that makes me stop and wonder what’s wrong. I used to use Safari’s method of bypassing a bad certificate, assuming that was just the way the Web rolled, but no longer. I try to report the problem to the Web owner or find the information elsewhere. 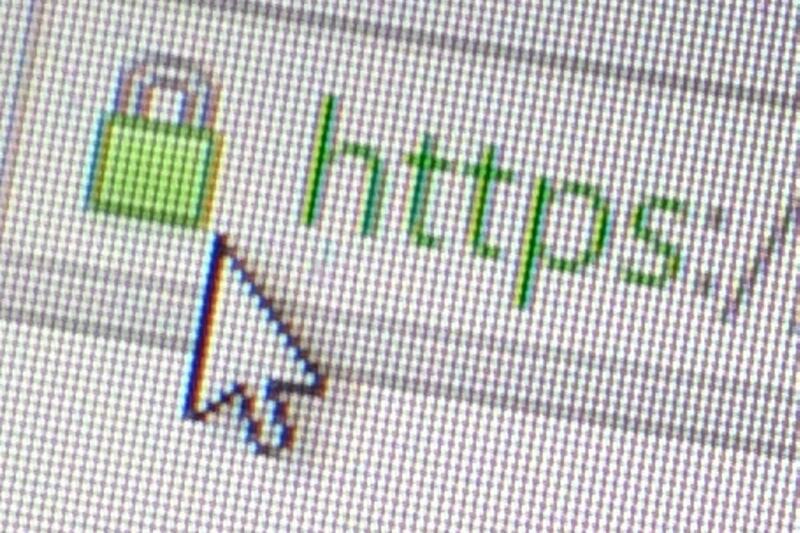 Better browser warnings, the elimination of outdated encryption, and a general shift to secured-by-default sites, no matter what the content of the site is, has pushed https usage way up. Google has been tracking secured connections via Chrome by platform, and half of pages loaded by desktop Chrome users in October are over https, up about 10 percent over just a few months. Ultimately, the entire Web will be encrypted, and not for paranoia’s sake. Reducing points in insertion and eavesdropping allows you to live your online life more safely, whether it’s about others tracking your reading habits, your frineds—or your political activism.